South Korea has proposed holding military talks with its northern neighbor, the first such talks since 2014. "We request military talks with the North on July 21 at Tongilgak to stop all hostile activities that raise military tension at the military demarcation line," Vice Defence Minister Suh Choo-suk told a media briefing Monday. North Korea and the US: Who’s Really Provoking Whom? Tongilgak is a North Korean building in the village of Panmunjom, which straddles the demarcation line that divides the countries. The armistice ending active hostilities in the Korean War was signed in that village. Talks have been requested between high level military officials for July 21, and among Red Cross representatives from both countries on August 1. An agenda has not been specified for the military meeting, but the Red Cross meeting would be expected to cover ways to resume family reunions with the Chuseok holiday coming up in October. South Korea's Defense Ministry has asked that the inter-Korean military communication line in the western region be restored, and that North Korea respond to their offer through it. New South Korean President Moon Jae-in is a proponent of dialogue, and has recently said the need for talks to halt Pyongyang's nuclear and missile programs is more pressing than ever. The talks would be the first among high level military officials in nearly three years, Yonhap points out. 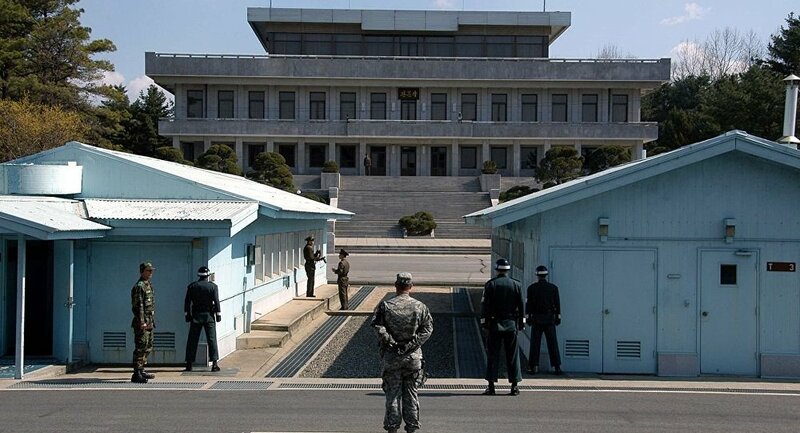 A working-level meeting was held in Panmunjom on Oct. 15, 2014, but no agreement on how to ease tensions was reached. The last government level talks were held in December 2015. North Korea has conducted 11 missile tests this year, despite international condemnation. Its most recent ballistic missile test may have shown it to have the capability of reaching US territories with a long-range, nuclear armed weapon. Pyongyang has also conducted five nuclear tests, in violation of international sanctions.